Doug Furnas (52, heart disease): With his tag team partner Phillip Lafon (aka Dan Kroffat), Doug was one of the most under appreciated and under utilized talents in sports entertainment. While they had seriously success in Japan and were given respect in ECW, once in the WWE that respect went out the window and they were turned into boring and bland. That was really unfortunate as they could’ve easily been used to be major stars, but were looked over for flashier talents. Luckily footage of them in Japan against what are considered one of the greatest tag teams of all time The British Bulldogs does exist and here it is. 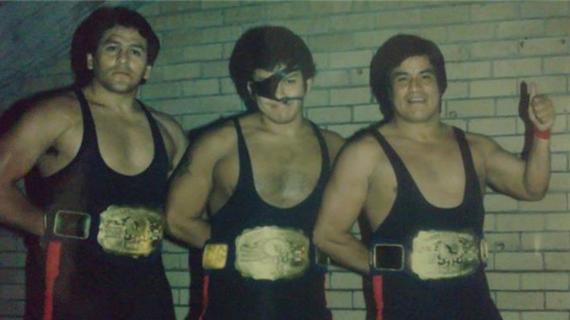 Pablo Fuentes Reyna aka MS-1 (55, car accident): Most popular in the 80’s as a part of Los Infernales with Pirata Morgan and others. I personally was never really privy to his work but it seems interesting to me which Luchadores names are public knowledge and which are not but either way I think they die with their mask on (although MS-1 did not wear a mask). Aristóteles Radamés Coccó Flores AKA MS-2, Maskare and later as as Yeti (57, cancer): Aristóteles Radamés Coccó Flores AKA Maskare and later as and most well known as Yeti (57, cancer): Another luchadorian h actually dressed like a Sasquatch/Yeti and worked in AAA in the 80s when it we got it on Galavision. His existence is actually a sight to behold. Before all that though he was a regular team partner of MS-1 and was even brought into Los Infernales for a short time. Despite years passing since the two worked together, fate took them both in the same year. Curious. Here’s a match where he teamed with Tinieblas Jr. and Sr, as well as La Calaca against Pierroth Jr, Heavy Metal and Latin Lover (oh and midgets too). This match isn’t the best example that shows Yeti’s size though as the Tinieblas were freakishly tall as well was La Calaca. The only average sized lucha here actually is Heavy Metal. 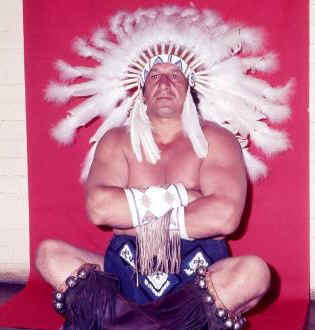 Joe Scarpa (87, results of a fall): The man known as Chief Jay Strongbow was never in the main event, but he was truly a wrestling superstar. Four tag team championships, a household name, a member of the Hall of Fame, and the co-star of the second most brutal strap match in mainstream history with the man who was the co-star of the most vicious Greg “The Hammer” Valentine. The best thing about how Strongbow was not actually a Native American, but he was still respected and Chris Chavis aka Tatanka who was a true native never had a problem with it. Scarpa was also trained by Don Eagle, so that gave him a pass. Here’s that Indian Strap match. Rip Hawk (82, heart issues): A multiple WCCW World Tag Champion, Rip Hawk’s biggest claim to fame in professional wrestling is when he teamed up with a young Ric Flair. Hawk was a stocky man who could throw a good punch and if anything at leats make you belive he’ll beat you up. He definitely missed a certain charisma and look to be more than a talent that helped others and a consummate ring grappler bit those are admirable things to have been. Here’s an old match with him teaming with regular partner Swede against some guys. Brad Armstrong (50, medical distress): The most charismatic, physically talented and exciting of the Armstrongs (sorry Road Dogg, but he was) was also the one who struggled the most career wise. While brother Scott has always had a referee gig and brother Jesse James is mixed in deep with wrestling history, Brad never made the impact he deserved the chance to make (although he did do better than third brother Steve). More underrated than Doug Furnas it could say… not as an inring performer, but all around, definitely. Although he was part of some awesome moments, including when he made two run-in appearances in one match as different personas, as his masked persona was not supposed to actually be him. He was also at one point one half of the greatest tag teams ever in The Lightning Express, but their push got halted as Tim Horner became a jobber. One of the greatest matches he should be remembered for is against Dean Malenko, he doesn’t win… not even close, but he holds his own and proves how good he was in this one. Buddy “Jack” Roberts (67, pneumonia) : Any true real wrestling fan with an actual history know The Fabulous Freebirds, even if all they know is current WWE road agent Michael Hayes. The Freebirds were so much more though. While many would say it was Hayes, Gordy and Garvin, it was Buddy Roberts who made them totally awesome and he was there before Garvin… he was The Freebirds. His nickname “Jack” was because he was always drunk on Jack Daniel’s. He made it work though, it wasn’t just a drunk dude barely able to walk, but a drunk dude being really entertaining and good worker. Hayes was the looks, Gordy was the muscle and Buddy “Jack” was well Buddy “Jack”. The Freebirds were just cool before cool was even a concept. Well, you know what I mean. Buddy also had the craziest voice. He eventually got lung cancer and you could see it happening, he talked like he smoked 22 packs a day. He retired way back when, but I’ll never forget him or The Freebirds. Guys like Hayes, Jack and Gordy paved the way for so many folks, it’s a shame nobody ever says something for them. DDP, CM Punk, Edge, guys like that would’ve never even been given a chance (and they STILL had to earn it) without guys like those three to at least take a shovel to the groundwork. Finding the best of Buddy isn’t easy, but here’s a clip where he cuts a promo with Terry, as well as “Iceman” King Parsons. Followed by a longer clip in which the Freebirds confronted Mike Graham directly after the passing of his father. Mike Graham (61, suicide): The son of legendary promotor Eddie, Mike seriously was never really that good in the ring, but he had a true love and passion for the industry. That in of itself truly shined and hey, even got to be a champion a couple of times. Sure it was AWA Light Heavyweight champion as the “biggest” title in terms of indutsry clout, but he owned Florida. Sure, he also OWNED Florida, but he never actually really used that card. I think that may be what finally after all these years may have brought him down. Despite his passion, dedication, respect for others, he was still the son of Eddie Graham and once he sold off the entire FCW library to WWE/Titan he had nothing more to live for. Love, children, it should be enough, but for many… it’s just not enough and depression is a horrible disease and sometimes it takes us, especially in a family with the disease strong. Eddie killed himself 20 years ago and Mike’s son killed himself two years ago… that Mike found the strength to last is a testament to his dedication.